Debates in the Digital Humanities, an edited collection featuring contributions from over forty DH scholars and practitioners, straddles the line between print and digital publication. The first edition of the printed text, which was published by the University of Minnesota Press in January 2012, was composed predominately of essays but also incorporated a variety of web-based materials such as blog posts, tweets, and wiki pages. The printed book was, from the earliest stages of the publication process, intertwined with digital platforms: following the model of peer-to-peer review described by Kathleen Fitzpatrick in Planned Obsolescence, all essays in the book were part of a semi-public, web-based review process that mixed new forms of peer-to-peer review with more traditional models of publisher-based blind peer review. In an attempt to move the university-press based print publication process along at a rapid pace, the book went from initial conception and solicitation of essays to printed publication in the space of a single calendar year, a timeline that involved substantial efforts from contributors and from the Press. The book was conceived of less as an attempt to create a monumental, standard reference guide for the field than as a snapshot of current conversations within a key moment of growth, with the primary purpose of introducing DH to scholars unfamiliar with its projects, practitioners, and debates. Debates within the field have not stopped with the publication of the book, of course, so the challenge now facing the editorial team is to create an open access (OA) edition of the text that goes beyond the basic task of making the contents of the print edition available in digital form. In January 2013, an expanded, OA edition of the text will be published on a new platform created by a team of technologists associated with the GC Digital Scholarship Lab at the CUNY Graduate Center, in partnership with the University of Minnesota Press. This platform is being created from a fork of the Prism tool for collective interpretation that was released by the University of Virginia’s Scholar’s Lab in 2012 (Lestock) as part of its innovative Praxis Fellows Program (Nowviskie). The publication platform will feature enhanced social reading experiences that will include shared/social highlighting of the text, a dynamic index of the book built from reader interactions, and a fine-grained commenting system that will allow readers to associate comments with specific words and phrases within the text. Technical challenges for the platform include the creation of a system that will allow reader markup and commenting to be associated with a text even as the text itself is updated over time. Like Prism itself, all code associated with the new publication platform will be shared freely on Github, thus enabling others working on similar projects to use and reshape the codebase. In this respect, the online edition of Debates in the Digital Humanities is itself a DH project. Beyond the technical infrastructure of the platform, this poster will examine the ways in which the Debates in the Digital Humanities project is moving from a printed book to an open-access digital stream that will be harvested at various points for new print and digital publications. These will include new printed editions of Debates in the Digital Humanities, targeted publications on specific DH topics and themes, and a series of DH annuals that attempt to capture important moments of debate on a yearly basis. And as the expanded edition of the text takes new forms, the publication process will be opened up and will become more inclusive, with open calls for submissions and fully public rounds of peer review. The project is thus attempting to stake out ground as a publication space that lies somewhere between a printed book, a book series, an academic journal, and a blog, one that is actively engaged in exploring both print and digital instantiations of a text as events that take place along a larger continuum of reading and writing around a set of shared issues. 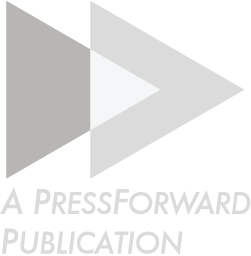 The project provides an important example of experimentation by a university press, in partnership with another academic institution, at a moment when the future of such presses is consistently being called into question. This poster will present the project in its many forms and will attempt to delineate the ways in which the project itself instantiates the values of DH (defined by Lisa Spiro in Debates in the Digital Humanities as the values of openness, collaboration, and connectedness, diversity, and experimentation). Fitzpatrick, K. (2011). Planned Obsolescence: Publishing, Technology, and the Future of the Academy. New York: New York University Press. Spiro, L. (2012). ‘This Is Why We Fight’: Defining the Values of the Digital Humanities. In Gold, M. K. (ed.) Debates in the Digital Humanities. Minneapolis: University of Minnesota Press. Matthew K. Gold is Associate Professor of English and Digital Humanities at City Tech and the Graduate Center of the City University of New York (CUNY). He is editor of Debates in the Digital Humanities. Douglas Armato is Director of the University of Minnesota Press. Zach Davis is Co-Founder and Managing Director of Cast Iron Coding. Matthew Slaats is Executive Director at The Bridge. Mark Abrams is Book Cover Designer at Vintage Books, Random House.